Following a request of a thermNeon user, we decided to have a look to see if we could introduce a remote temperature sensor to the thermNeon. After a bit of tinkering around in the software and testing on some perf board, we have been able to add a remote sensor to the thermNeon! 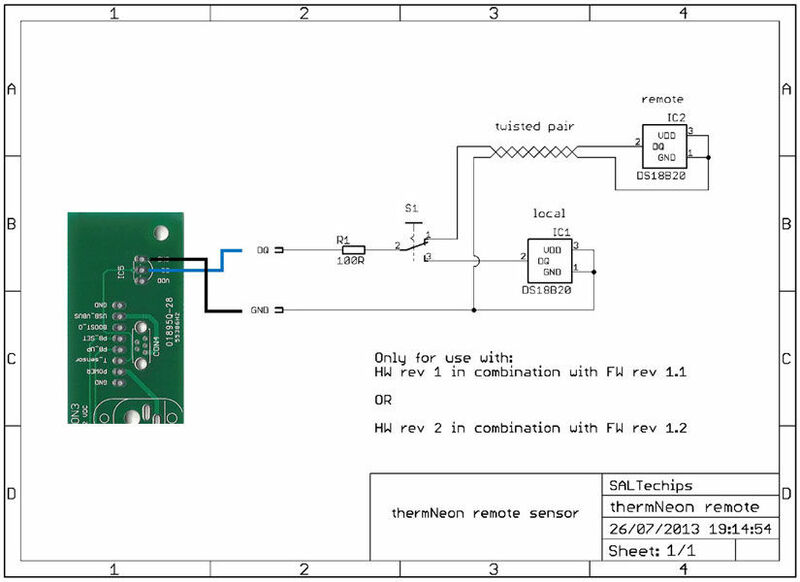 Figure 1 shows the schematic and how to wire the remote and local sensors to the interface board. Figure 2 shows how the local and remote sensors connect to the thermNeon. 1) Make sure the correct firmware version is programmed, as detailed in figure 1. For assistance contact us. 2) The local and remote sensors must be placed away from heating or cooling sources. 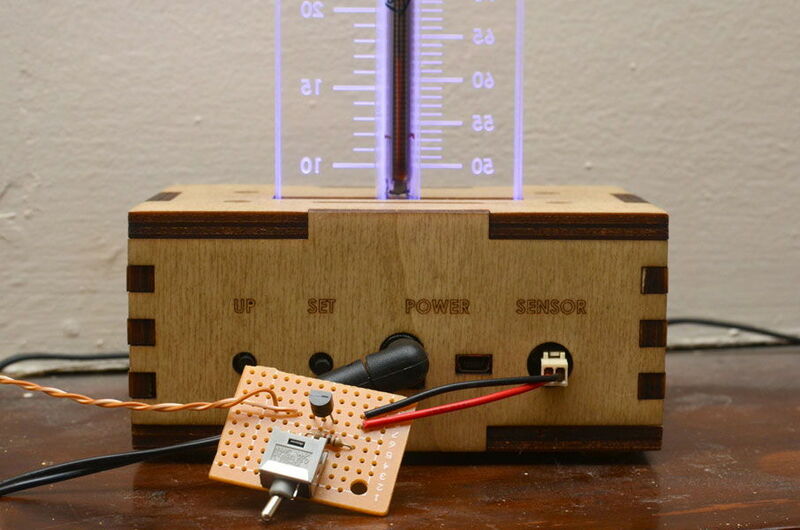 3) If the temperature is being displayed, it will not change instantaneously if the sensors are switched. As the selected sensor is read once before each temperature display, the correct temperature will be displayed in the next cycle.